The Ruudi V is a Savo 575 , a Finnish racing rowboat designed by Ruud Van Veelen. 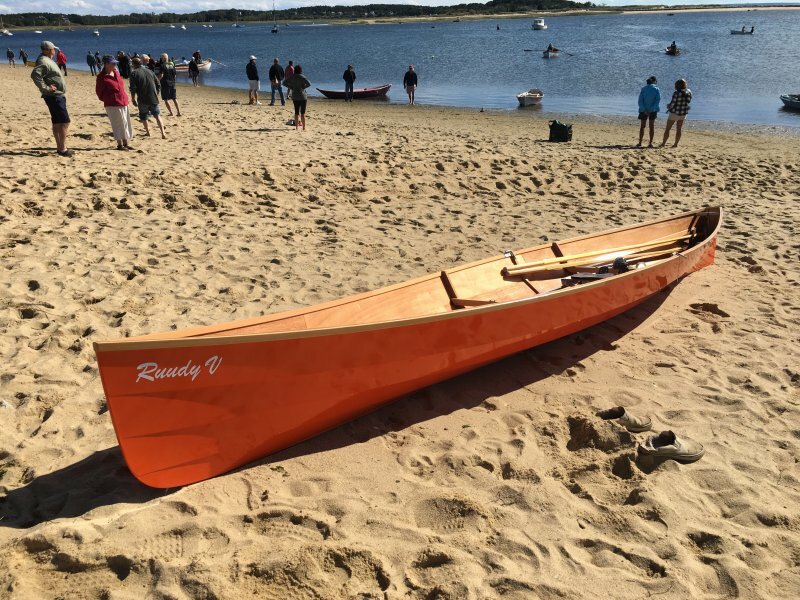 It's a very fast single with a sliding seat, non-feathering oars, and very light weight . Dimensions are : length - 5.75 meters (18'10"), beam- 1.25 meters (4'1") , weight equipped- 39 kg (86 lbs )- this one was a little heavier at 90 lbs. Top speed is about 8 knots, cruising speed around 4.5 to 5.5 knots. 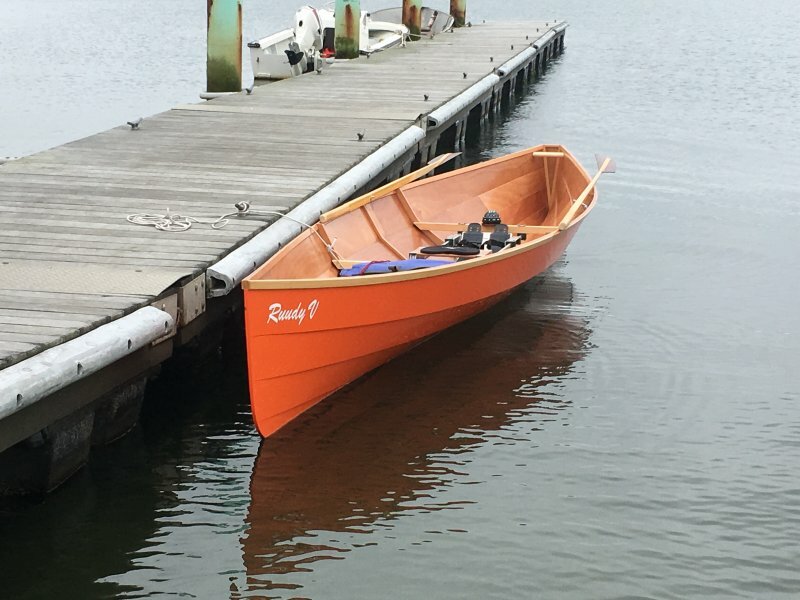 This boat was built by Old Wharf Dory Co., www.oldwharf.com . The designer's web site is http://puuvenepiste.fi/en/boat_savo_575_single.html . I have rowed this boat several times, it likes to go fast.